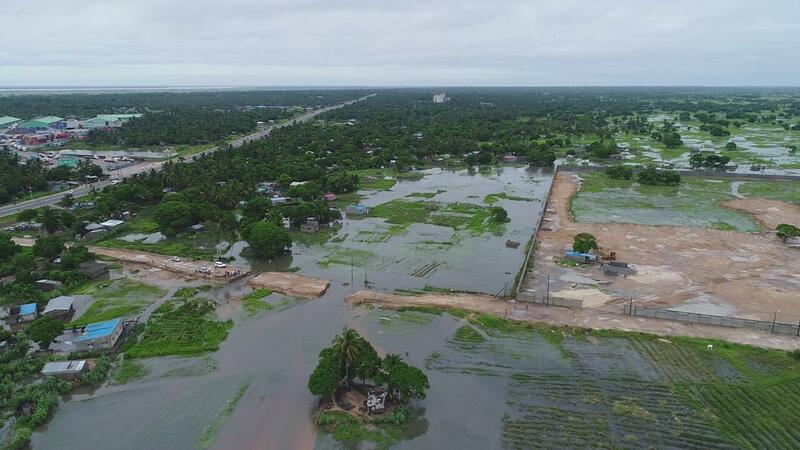 On the 18 of January 2019 a low pressure system developed on the southern coast of Mozambique as the convection brought rainfall to Inhambane province. By 20 of January it was classified as tropical depression and moving northward in Mozambique channel in direction of Zambezia province . 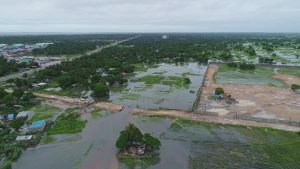 As it moved northward it gained more energy as it encountered warm and sea surface temperature and the tropical depression gained more energy and with winds between 63-89 km/h and it was labelled as moderate tropical storm and named Desmond on the 21st January. 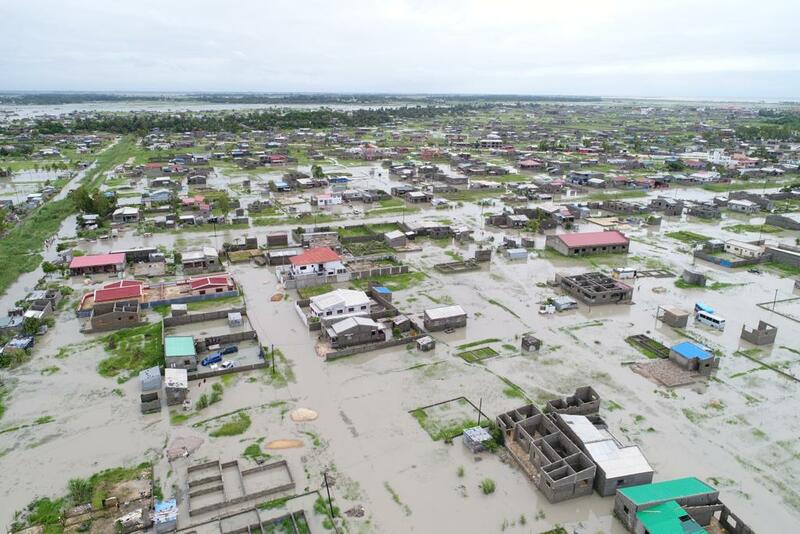 It did not reach winds high enough (118-166km/h) to be classified as Tropical Cyclone. 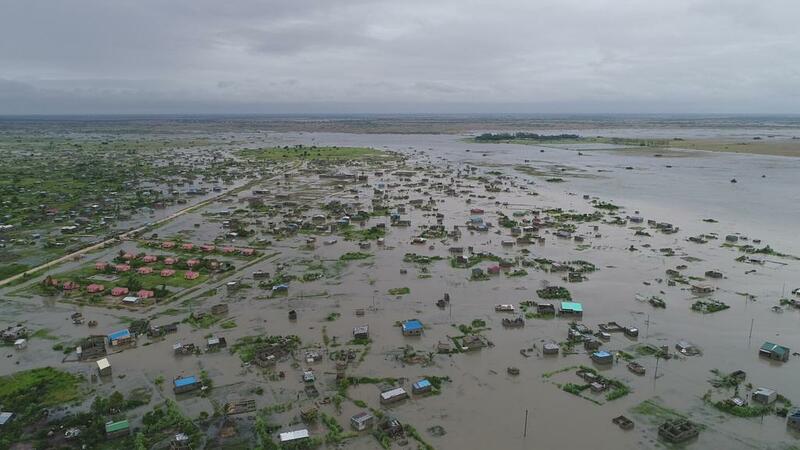 So this was not a tropical cyclone but the first storm of the 2018-2019cyclone season in Mozambique. 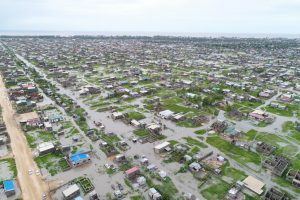 On the 22nd January, Desmond made landfall and the rain and storm surge caused floods in the low-lying city of Beira. 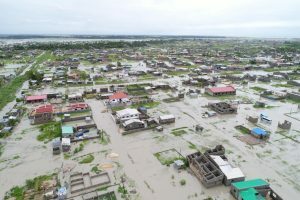 Images below show the extent of the floods caused by the compound event off rainfall (more than 250 mm in 24h) and the storm surge. What we see in these photos is definitely a result of an atmospheric event, but overall impact of that event will depend on the vulnerability of the population and levels of government actions. That’s a story for another blog, however, and here I will stick to the climate and weather. Since in the future, the intensity of such storms are likely to increase due to global warming, we need to have a good understanding of atmospheric processes leading to extreme weather events such as Desmond, and we need to work towards improved predictability of such events at shorter (daily) and longer (monthly to seasonal) time scales. 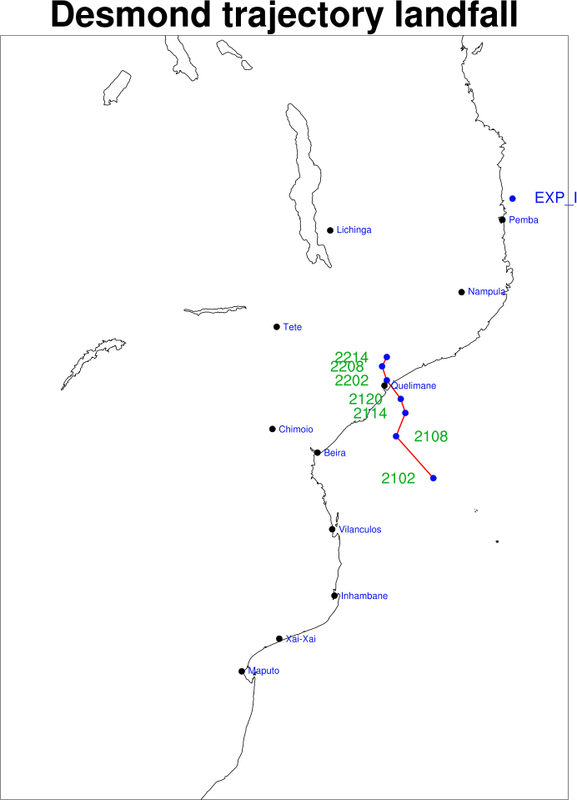 Motivated by this, I decided to setup one single experiment with the UEMS-Weather Research Forecast Model (WRF) over a domain covering Mozambique. The model downscales the Global Forecast System (GFS) from 0.5 degree (~50km ) into 15km. This is a short-term model simulation that gives forecast of atmospheric conditions at every hour up to 42 hours ahead, or how the forecasters call it, with lead time of 42 hours. The figure on the left shows the evolution of the system as simulated with the model initialized on the 20-01-2019 at 6am UTC (i.e. 44 hours before the event). The figure on the right shows the trajectory of the system at local time, ie, UTC+2. The dots represent the position of the center of the storm, expressed by the lowest atmospheric pressure. The figures below are the same as the ones above, however the model was initialized on 21-01-2019 00 am UTC i.e. 24 hours before the event. 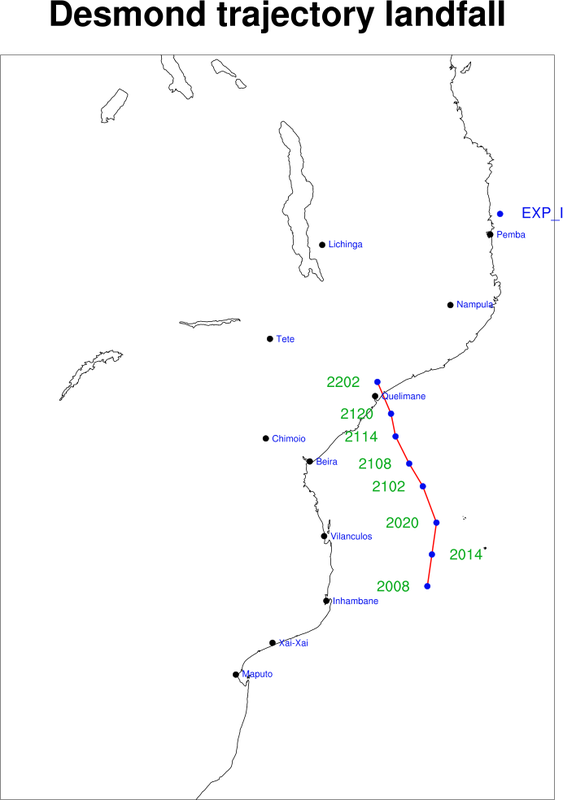 This run showed more rainfall over Beira around the 00 UTC compared to the first one. And thanks to Piotr Wolski for helping me writing this blog.